A brand new collection of sterling silver snowflakes created as affordable keepsakes that will appeal to everyone. 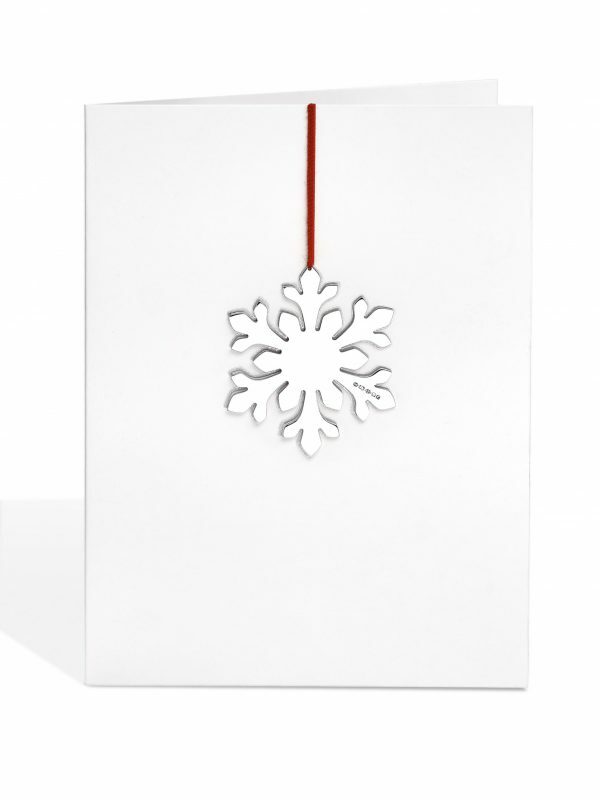 Each decoration is mounted on a custom printed card with a silver decoration that can be removed and used as a tree ornament. 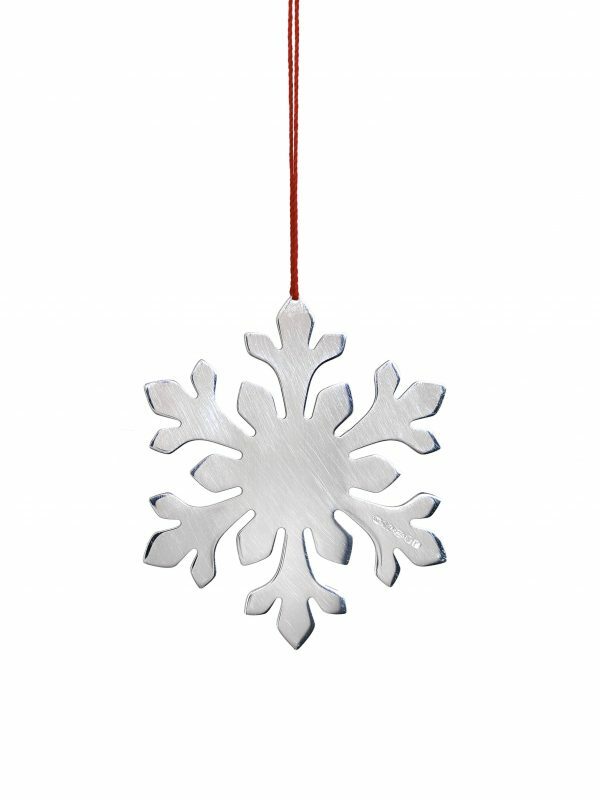 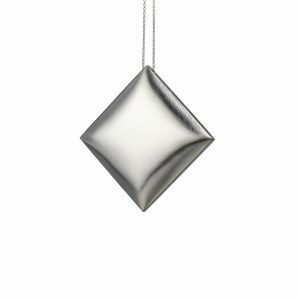 Each snowflake is created by hand from silver sheet and then finished and polished to ensure they meet Angela’s exacting standards. 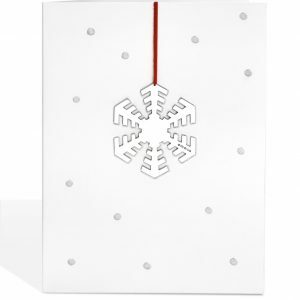 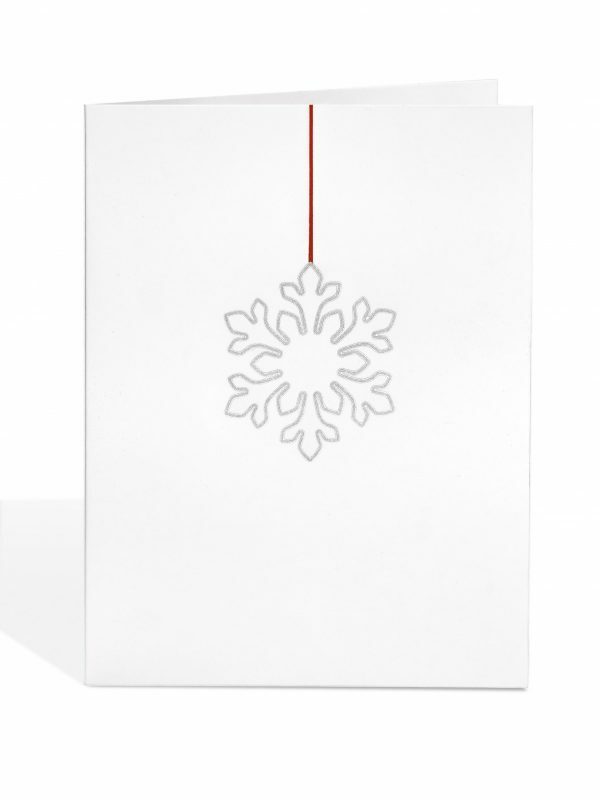 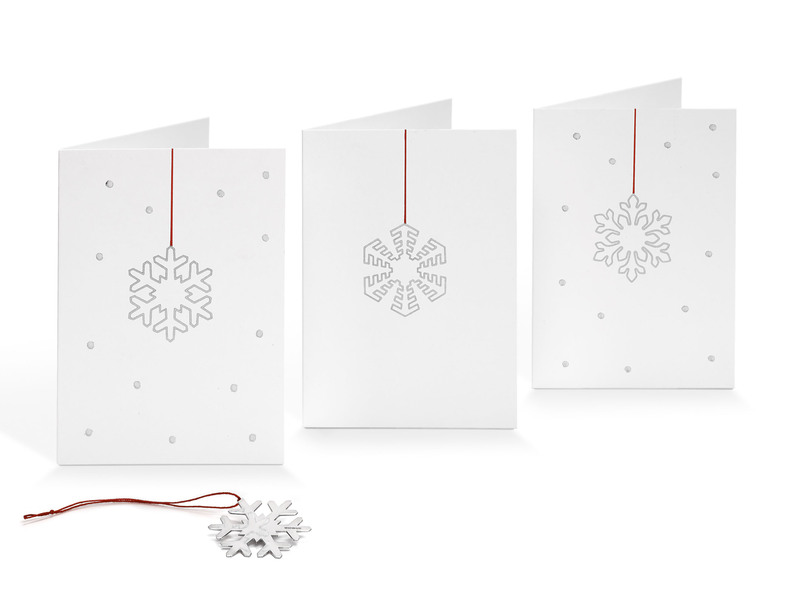 The snowflake is attached with a fine red thread to a greeting card that has been hand stamped so that when the decoration is removed, the design is revealed underneath. 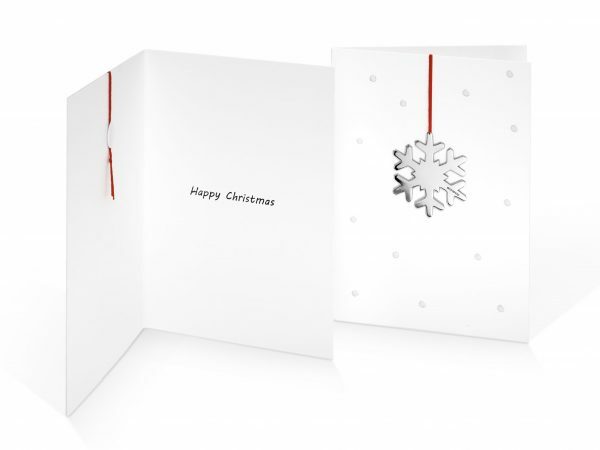 Cards are delivered in a protective plastic sleeve that also contains a sturdy envelope to ensure the product arrives undamaged. 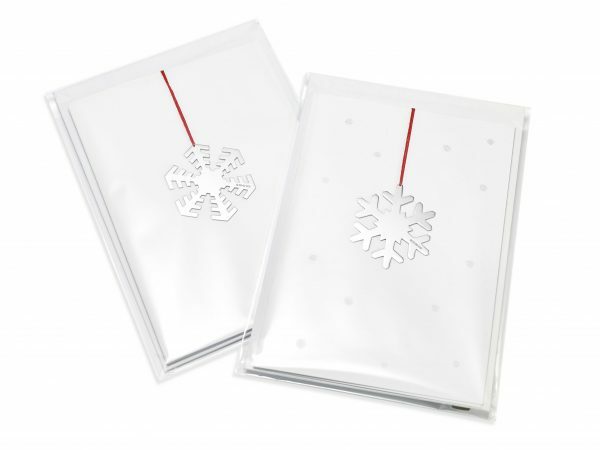 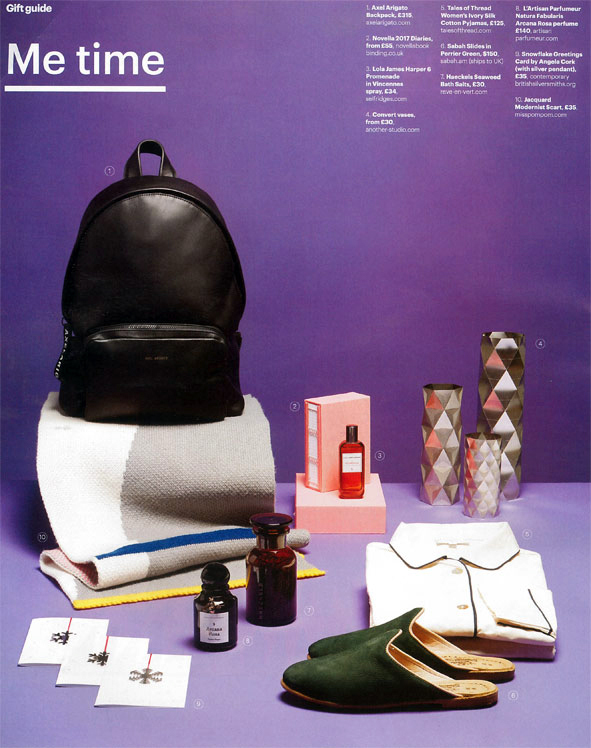 These make the perfect gift! 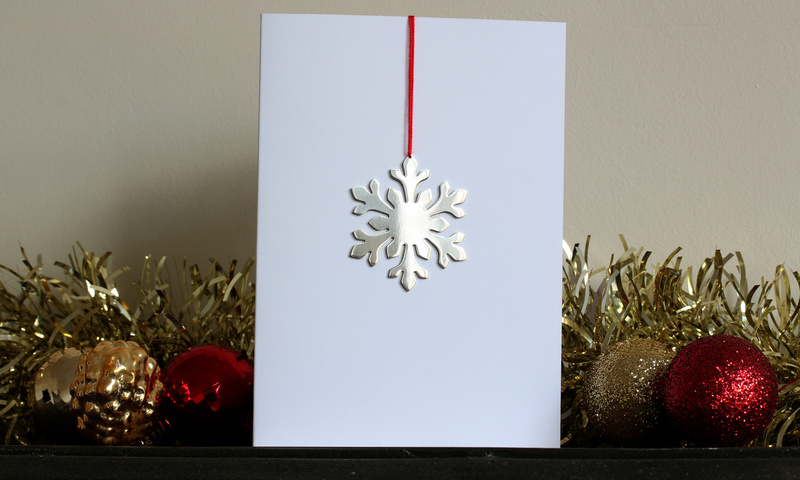 Each snowflake is cut and hand polished and hallmarked in London. Dimensions: 46mm x 46mm x 0.8mm thick. Individual Snowflake weights – 6.5grams approximately. Weights may vary slightly.